For the last eight months, I have been diligently redesigning and repairing my home. It was my goal to create a home that I loved. At the end of last year, I went to visit a friend in Virginia. She lived in a beautiful loft located across from a private beach. I truly fell in love with the ambiance of her home. I knew she had an admiration for the beach life and so she brought the essence of that lifestyle to her home. I was truly inspired by her home. She encouraged me to surround my home with all the things I love. When I came back from my week of vacation I began to do the work to turn my house into a home I adored. I remember when I spent years jumping on the road visiting friends and family because my house was just a place to sleep, eat and dwell. However, this year I began to change my perception about my house and decided to implement the things I love in my home. Since, I have been on this journey of redesigning my home I don’t feel the need to run away from it anymore. I enjoy the process of redesigning a home that screams elegance. I love a home filled with beautiful things especially peace, luxury and love. In the process of upgrading my home I realize my life has shifted. I am learning not to settle for things that I don’t love. I also learned that I am worthy to live the life I desire and become the woman I want to be. In this sudden shift my life has taken me on a better path. I choose to cultivate relationships and friendships that are mutually beneficial. I am more in tune with designing a career, home and life I love versus settling for a life I just exist in momentarily. I believe our homes are a representation of our life. I have found that my life is being reinvented along with my home. Below are a couple things you can do to redesign your home that reflects a shift in your life. 1. Clear Your Closet. Get rid of clothes you no longer wear or love. As you evolve your wardrobe evolves as well. 2. Organize the clutter. When you begin to organize the clutter you will gain more clarity in your life. 4. Move. For years my life was a mirror image of my home, the same old routines in my life with my house decorated the same way for 9 years. However, rearranging some things in my house help me freshen up my life routine. 5. Make a list. Think about all the things you love and make a list to implement those things in your home. 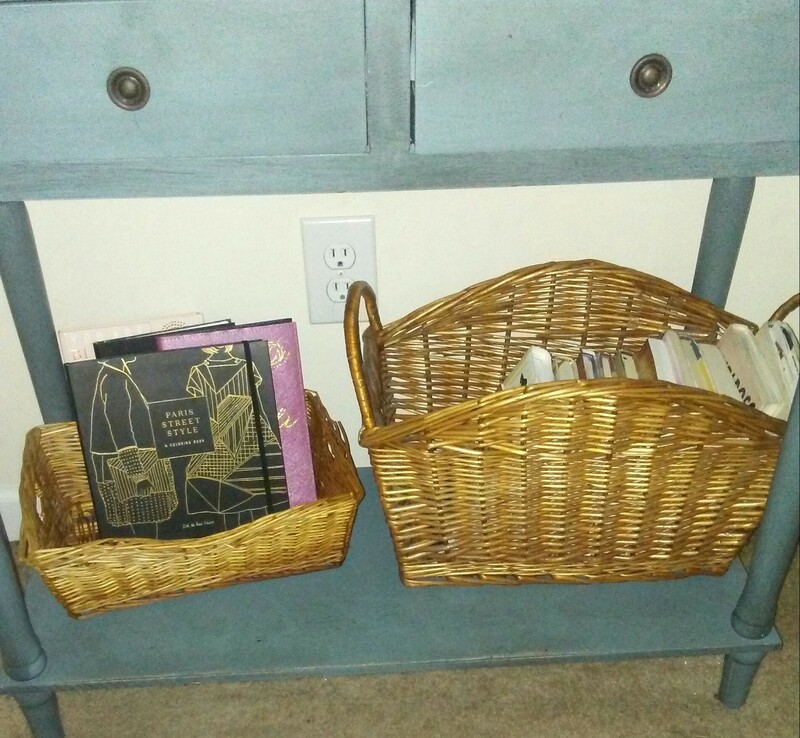 For example I love books so I created a small bookbasket under my desk to hold my books & journals. Which one will you pick to work on this week? Share your comments below.